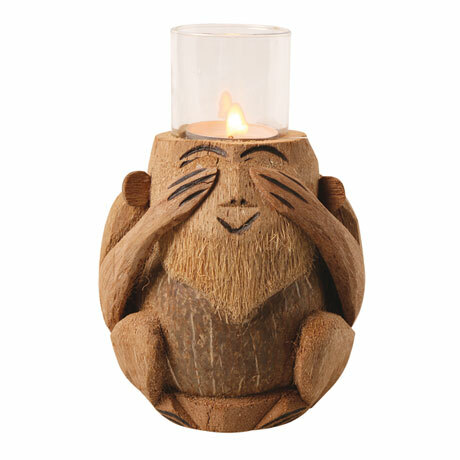 See no evil, hear no evil, speak no evil. 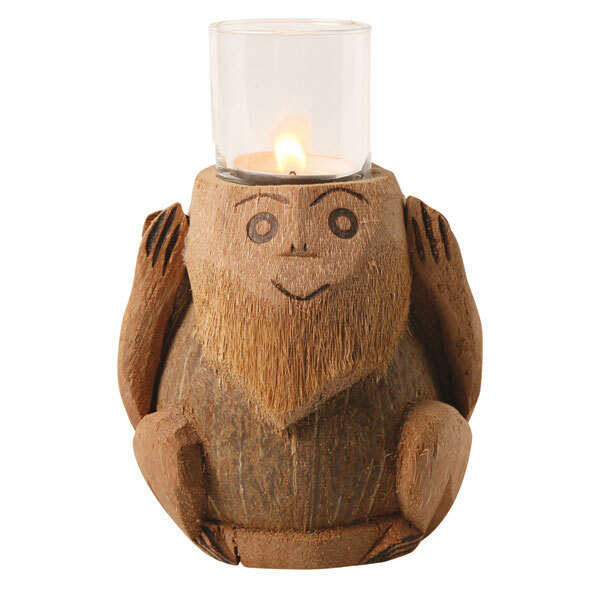 The three wise monkeys are hand-carved from coconuts and finished with hand-painted details. 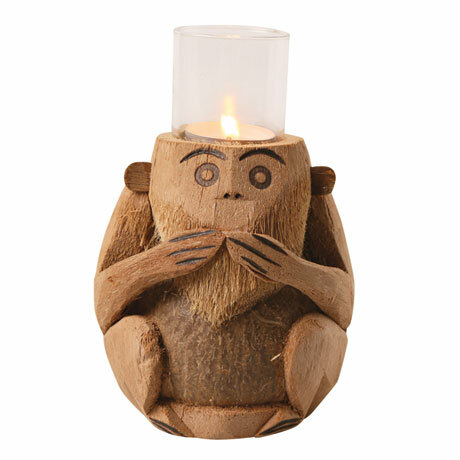 Each includes a glass tea light holder. About 5" high, 7" with holder. Set of three, no two exactly alike.